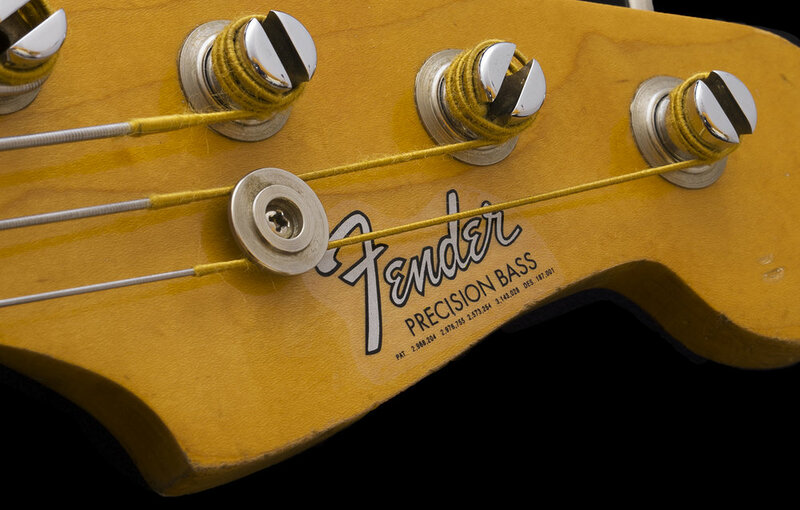 This is a scarce example of a Pre-CBS Precision Bass. It is factory finished in the optional Dupont Duco Custom Color "BLACK" on an Alder body. Custom Color options were officially offered to the public and available on the major Fender models beginning in 1961, as seen on the 1961 color chart. During the 1950's, the factory would on occasion finish an instrument in Black when requested by endorsees or on a custom order basis. 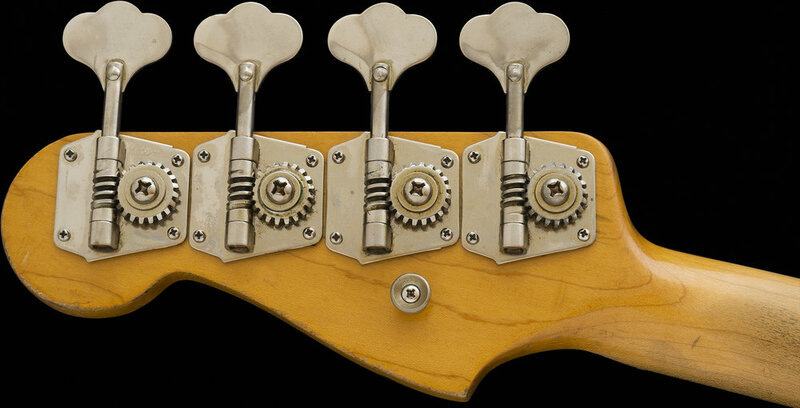 This is a very seldom seen finish on a Pre-CBS instrument, especially a Precision. 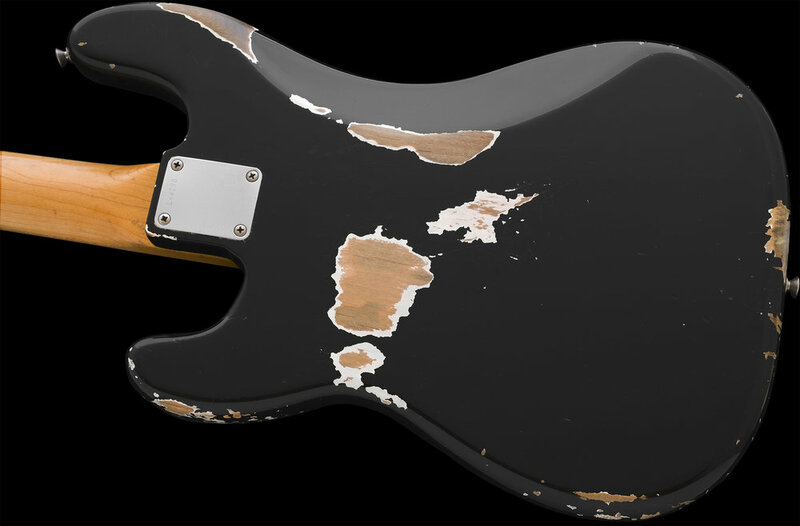 The Neck on this bass has undergone some modifications and restoration, but the body is original. This is a full PRE-CBS model Fender Instrument featuring a mint green pickguard, clay fingerboard dots, and a beautiful rich, dark Brazilian rosewood fingerboard. I have examined, tested, serviced and set-up this instrument. There is a significant issue to disclose. The bass has undergone a "neck restoration" that I have recently completed. 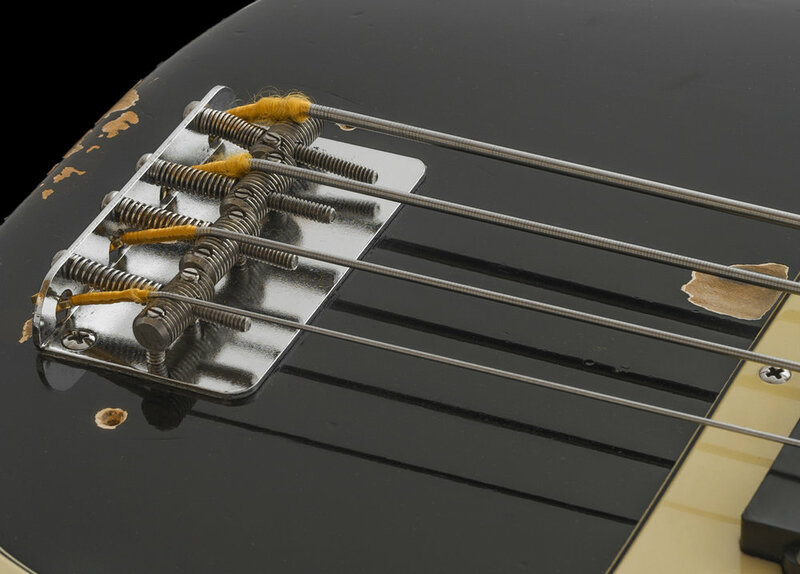 Regarding the Body, all of the hardware, electronics, and finish are correct and original to the bass with no modifications except for one extra hole above the pickup. A previous owner relocated the Thumb Rest (tug bar) and luckily utilized one of the existing Pickup cover holes; otherwise, the body is factory-original and unmolested in every way. The mint green nitro pickguard is in excellent condition with no cracks. The potentiometers are both correctly dated the 40th week of 1964, and none of the solder joints have ever been touched. The neck however, has a different story, but one with a happy ending (read on). The neck is date stamped "5SEP64C." 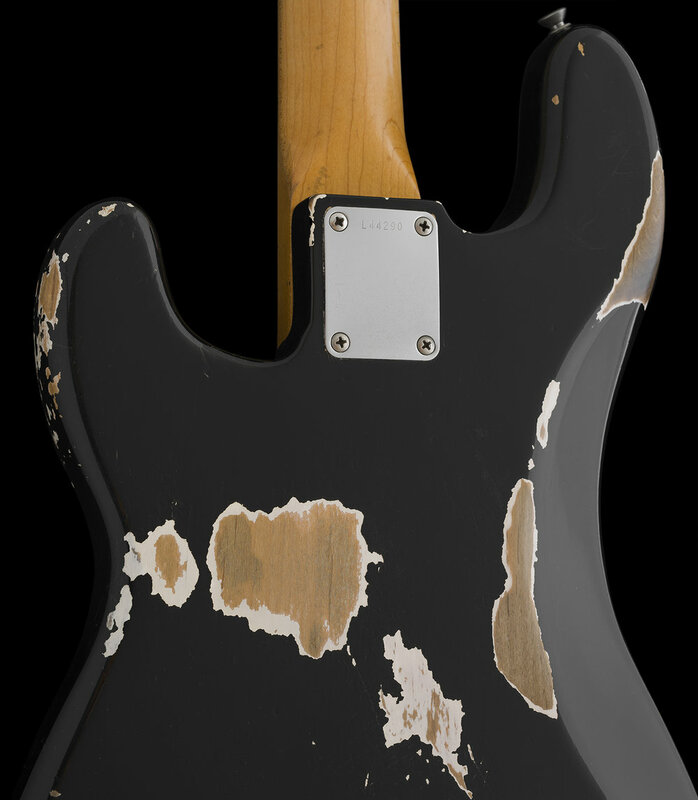 At some point in its past, a previous owner modified the neck. 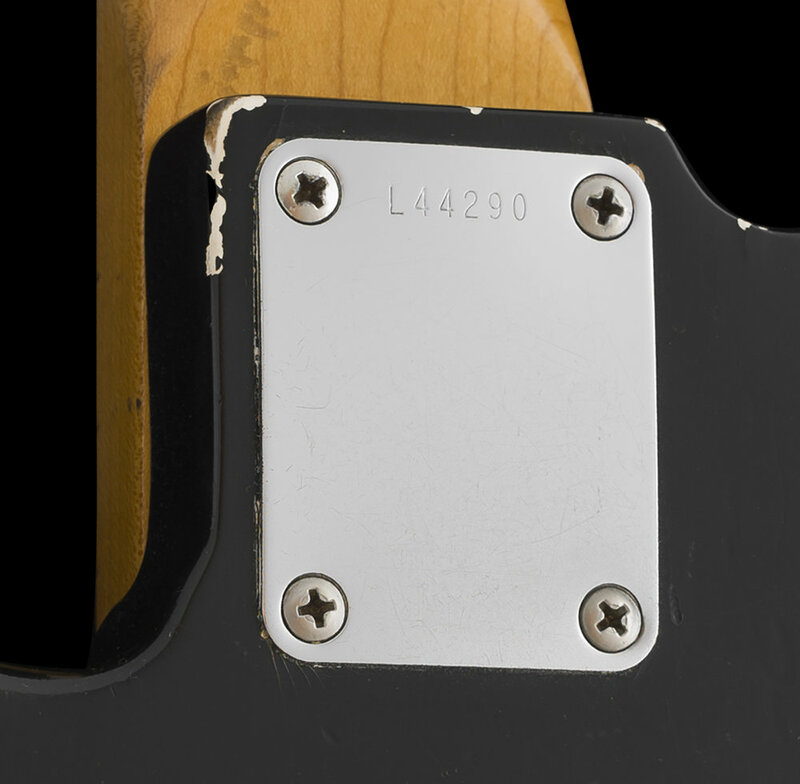 The Fender decal was removed, (which I have recently restored), but the worse offense was the cutting of grooves into the side of the neck at each of the 8 fingerboard side dot locations (ouch). It is my speculation and belief that this was a homemade attempt at creating a sort of "Brail." It is possible a previous owner couldn't see the fingerboard due to dark lighting at stage or pit gigs and needed a way to know the fret locations, or they may have actually been sight blind. Either way, the neck was damaged and I decided to restore it the best way that I could as a suitable, correctly dated replacement could not be sourced. Upon assessing the bass, I came to the conclusion that the original neck was in healthy condition with no truss rod related issues with a "wide and flat" shape and "C" width Fender feel that experienced players crave, so I deemed it a worthy restoration candidate and never looked back. The Neck repair included hand-crafting and fitting small slivers of maple and placing them into the cut grooves, and because of the damage, the side dots were replaced as well. After a very talented luthier completed the painstaking woodwork, the neck then underwent a fingerboard clean up and re-fret with vintage style frets. The original Nut was still present and we elected to merely elevate and preserve it, which worked out quite nicely. The finish on the hard-rock maple is still original, and the back of exhibits a nicely worn-in look and very smooth hand feel. The headstock was not touched except for a Decal replacement, as NO finish work was needed. The chrome-plated Pickup and Bridge covers are both present and mounted, however, upon close inspection, even though they display normal wear and patina, I believe they are more likely from the 70's. The overall look and vibe of this bass are "original," and the neck feels and plays exceptionally well, it is ready for the next 50 years. I felt this very rare bass was well worth the time, money and effort that myself and 2 skilled techs put into restoring it. I will dispense with a cosmetic "condition" description report on this instrument as the photos speak for themselves! If you have any questions, do inquire. The CASE is a 1970's Fender Black Tolex model and is the one the bass came in. Not surprisingly, with the amount of usage the bass has undergone, the original case likely fell apart some time ago. This case is solid and in very good condition with a fully functioning handle, latches, and hinges. 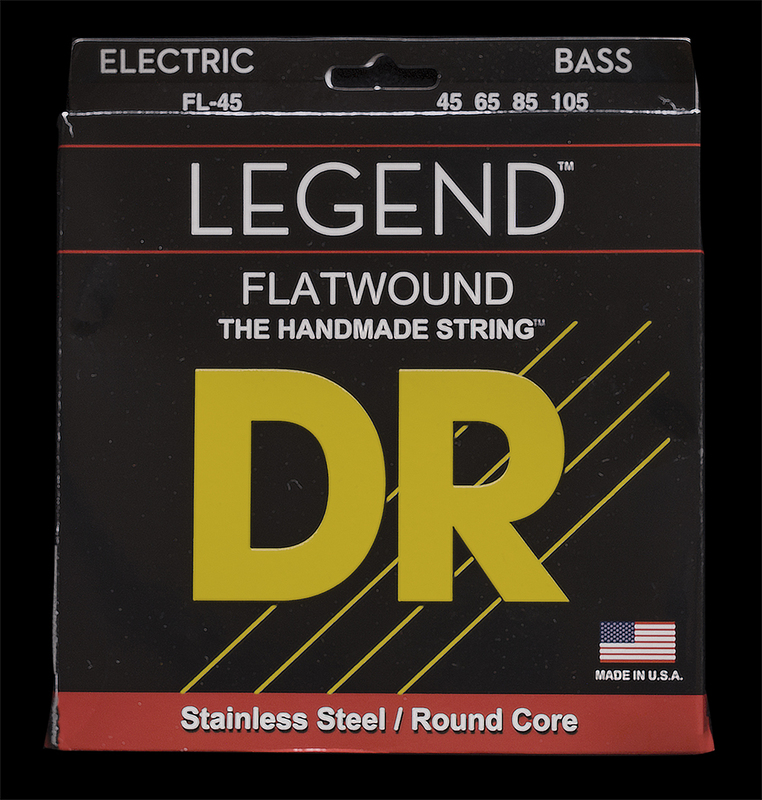 The STRINGS are a new set of DR Flat Wounds that feel very good to me. They have a smooth, fat and punchy flat-wound tone. They are also flexible and fast becoming my new favorite "flat's." This is a real 54-year-old "RELIC." I purchased this unique and cool looking bass a very long time ago, and it's been about 25 years. Original Duco Black-finished PRE-CBS Precision basses are very rare, so I decided to hold onto this one, even though it had a modified neck. My thinking was that I would eventually come across a proper, unmolested neck and restore the bass, but that never happened. During the 80's and 90's, I was swamped running my store, and I placed the bass into storage and simply forgot about it. In fact, I don't recall seeing this bass for decades until I bumped into it last year and decided it was time to give it the love it needed and deserved. Besides the modification that was done to the neck, the Bass was majorly original when I procured it. The combination of a Nitrate Green PG on a Black body is quite a unique and exciting look in my opinion, and one of the reasons I opted to keep it so long. If like me, you see the beauty and allure of this Custom Color survivor, then please inquire about it.